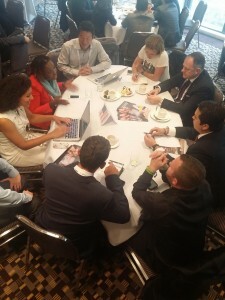 Last week, I had the honor of representing the United States as a delegate at the G20 Summit’s Young Entrepreneurs’ Alliance in Sydney, Australia, where over 400 young entrepreneurs worldwide came together to solve some of our world’s most challenging economic and social issues related to entrepreneurship. This year’s summit focused on youth unemployment, a stifling global issue where some G20 countries’ youth unemployment rate faces over 40%, according to G20YEA Chair Jeremy Liddle. The G20 Young Entrepreneurs’ Alliance (G20 YEA) is a collective of leading entrepreneurship non-profit organizations and associations representing over 500,000 young entrepreneurs across G20 countries and the European Union. The G20 YEA proclaims that its members have already created an estimated 10 million jobs. Locally, Entrepreneur’s Organization (EO) is representing the United States within the G20 YEA Summit, with Kevin Langley as our President and Gene Lim as a Sherpa leader. The goal of the 2014 summit was to discuss the Problems, Solutions and finally Action to create a strategy to reduce youth unemployment below 10% by 2020, as well as establish youth entrepreneurship as a solution to unemployment in the post 2015 United Nations Millennium Development Goals through a focus on job creation, youth employment and growth. According to the International Labor Organization, there are currently 1.8 billion youth globally, of which 90% live in developing countries and 2/3rds of those are underemployed. Of these, there are currently 73 million youth unemployed, accounting for more than 50% youth unemployment in many countries. As I reflect on the past week, I was amazed to see what the power of bringing together young entrepreneurs- those who are in the trenches- could do to come up with the most, of course, creative solutions to tackle youth unemployment. For the Problem component of the summit, we had an opportunity to communicate with other country delegates to learn more about how certain issues were similar or different globally, as well as discuss domestic issues with our local delegation. It was eye-opening to learn about how certain issues such as culture or access to investment affected various populations around the world and to hear real anecdotes from real international young entrepreneurs on how they experienced them. The opportunity to meet with delegates from other countries in addition to reflecting with my own U.S. delegation proved to help us create a more well-rounded, all-encompassing description of the problems we believed were contributing to the high unemployment and barriers to growing entrepreneurship globally. Second Portion of the Summit: Solution. Our U.S. Delegation was on fire as we got together to discuss solutions for problems related to access to capital, education and coordinated support, government regulation and taxation, entrepreneurship culture and quality, and trade & globalization. However, one of the major items our delegation focused on in particular was entrepreneurship in the education system. Like our international counterparts, embracing entrepreneurship as a solution to youth unemployment could use some more oomph, but perhaps at a lesser intensity. Instead, we found that domestically in the United States entrepreneurship is glorified, but not the mechanics of it. We felt major a major focus on financial literacy and experiential learning in the classroom was the solution to taking our local would-be entrepreneurs dreams into reality. Public funding matters: Sponsor start-up growth with low-cost funding for targeted groups. Support global mobility for young entrepreneurs: Sponsor start-up growth with low-cost funding for targeted groups. As noted above, our delegation highlighted the need for experiential learning within schools from a very young age. 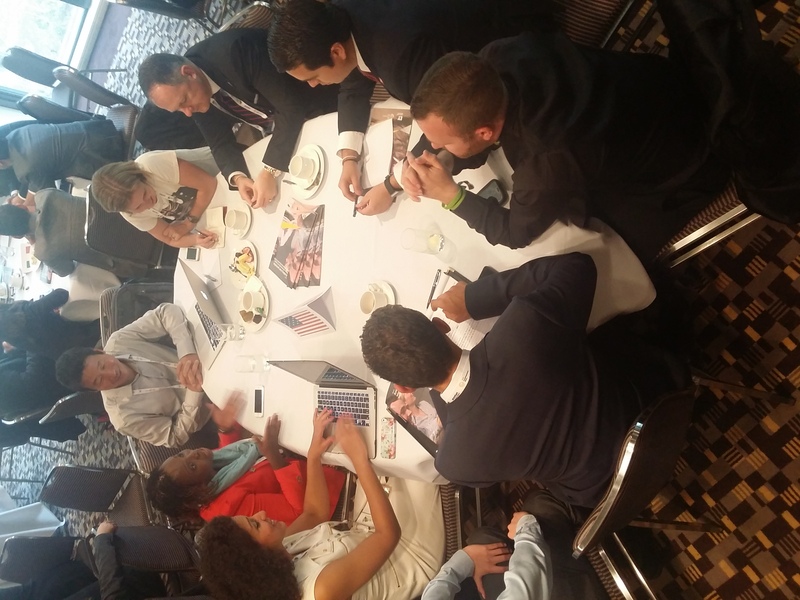 Some of the actions our group came up with were both grassroots and top-down communication with key federal education leaders to include more financial literacy within education curriculums as well as with entrepreneurial organizations that sponsored each delegation, such as EO. Reform of global financial systems to provide better access to finance for SMEs and more effective regulation of new financing platforms (such as crowd-sourced funding alternatives). Better co-operation between business and education sectors to address labour market needs and skills shortages. Embedding entrepreneurship programs within the education system. Enhancing incentives leading to the commercialization of new technologies. Reducing the regulatory and tax burden for employers and employees. Creating a new G20 multilateral “start-up visa” giving entrepreneurs more ability to conduct business internationally. Opening up government procurement practices to small businesses owned by young entrepreneurs. Ensuring there is a major goal in the UN post-2015 development agenda on youth employment and entrepreneurship. I attended the University of St. Thomas with a major in Entrepreneurship and participating in as many of their business programs as I could. Reflecting back on my fours years at The Schulze School, it was clear what a difference actual experiential learning can make beyond just the textbooks. Much of our degree included real case studies from successful alumni and required us to take action and critical thinking in order to complete the assignments. Outside of the degree program is where St. Thomas really stood above the rest, however: with very active student clubs like Practicing Entrepreneurs and E-Society, our community of students and faculty was a close one that strove to get students to think about starting businesses and receive the support they needed before, during and after launch. The Fowler Business Concept Challenge, co-sponsored by alumni Ron Fowler, was an excellent student competition that allowed students to develop, submit and gain feedback on their business plans in addition to $10,000+ in funding for winning teams. The William C. Norris Institute, an in-house seed fund founded by William C. Norris of Control Data, served as an angel fund for student and alumni entrepreneurs who were further along in their businesses. Finally, the incubator on the Minneapolis campus served as office and collaboration space for student-run businesses on campus. These programs have helped launch hundreds of entrepreneurial businesses by students that would otherwise not have been so, including mine. 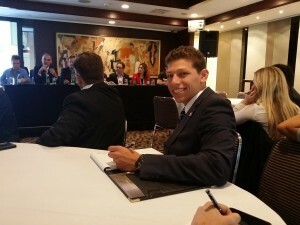 Naturally, I was moved to recommend experiential learning as a means to spurring entrepreneurial activity among young adults in the U.S., and it was incredibly encouraging to see that our recommendations were being taken seriously by international political leaders as well as leaders from some of the largest business and entrepreneurial organizations in the U.S. I was somewhat hesitant about the difference a bunch of entrepreneurs could actually make prior to the summit, but after the 2014 G20 YEA I have been more than pleasantly surprised. A quote by the late Nelson Mandela captures the spirit of the summit on the last day as the leaders from each country signed the communique: “It seems impossible until it’s done”.